Widex Hearing Aids Reviews - Are They Worth The Price? UPDATED November 2, 2016 – Widex Hearing Aids Reviews Provides expert reviews of Widex hearing aids. When it comes to instruments for hearing impaired people, Widex hearing aids is one of the best options. Widex hearing aids are incorporating modern technology for a hearing experience as close to normal as possible. Depending on the type of hearing disability you suffer from, you may need to opt for one or another line of Widex instruments. For example, the Clear hearing aid line of Widex hearing aids has the capability to transfer high-pitched sounds into your audible range, thus giving you the chance to hear clear alarm signals or music details. The Speech Enhancer function filters out environmental noises, allowing you to focus better on your conversations. The feedback canceling system is very useful in situations when you need to use electronic devices such as mobile phones or mp3 players. Whether you choose an open fitting or a smaller, in-the-canal Widex hearing aid, your hearing ability will be enhanced in the same way. Thanks to the Sound Diary feature which records data, each user can benefit from easy tailoring of their hearing instrument. Aikia is another Widex hearing aids line of devices which focuses on the Speech Intensification System. Aikia is suitable for persons who need to hear and understand voices in noisy environments. Depending on the listening situation, the hearing aid will switch between omnidirectional and directional microphones. Moreover, this Widex hearing aid is automatically fitting itself to match your personal hearing loss severity. 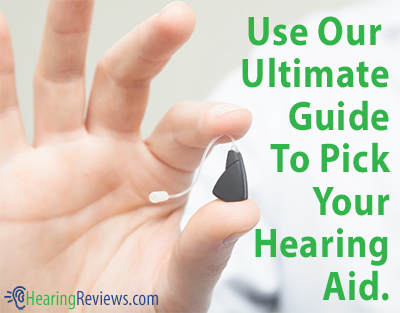 These features bring you as close to natural hearing as possible. Another high-quality range of hearing aids from Widex is Real, which features the Enhanced Dynamic Range Compression system. This ensures that you can hear soft sounds like dripping water while turning loud, unexpected sounds remain comfortable. Considerating these features, it’s easy to say that Widex hearing aids are not compromising on performance while remaining affordable for many people. See more on Widex Hearing Aids Reviews on Hearing Reviews.com. Widex hearing aids seem like they’re pretty great. The feedback canceling feature is the best part. That’s great for anyone who likes to listen to music a lot or talk on the phone. They won’t ever have to remove their hearing aid. My son has had 2 set od Widex digital hearing aids and I am NOT impressed. I paid $6000 ($3000 each ear) and had problems w/them from day one. Although they were sent back frequently, problems were never really resolved. After one year, you better have insurance on them which is pricy. I would not recommend them. Their technology sounds good…”when” it actually works! The previous provider assured me,that your hearing aids can be returned within 2 years.The present provider changed this to two months.I am referring to the digital system.Please comment. aids.I have used your product for ten years. the Widex Mind is great. I got them for my grandmother and she can hear AMAZINGLY now. I took her to ihop on a weekend for brunch, and it was really loud in there and a baby was crying at the table next to ours, and the place was packed. She heard everything I said, and I was speaking in a soft voice, and he even heard my daughter speaking, who is 8, in a soft voice. She has the 440, and loves it! I just wrote a review on the Baby 440 by Widex. What amazing technology. I am growing more and more impressed with the Widex technology and the company! 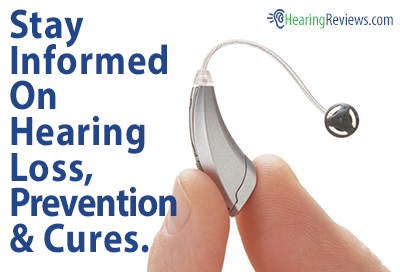 I have worn hearing aids for 30 years and have upgraded as technology improved. I am now wearing two Senso Divas BTE (my first Widex aids) and although I love the way I can hear, I hate these aids and have from day one…less than two years ago. Moisture with these aids is terrible and they have cost me much money in repair because of it. I wish I could go back to my original in the ear Starkey model which I never had a problem with. Any suggestions as to what my next aid should be? As soon as I save up some money, I will be replacing these. I have had the Widex Senso and now wear the Diva. Moisture was an issue, but I now always get the Dry Tubes (I always get the BTE models). Neither of my aids has had an issue. I also do not wear hearing aids when I exercise. Pamela love the sound of my 440 I have Zen add so far and my widex phone is good connection easy but my android phone is not one of the selected few so I can’t use my comdex with my cell mine came with the newest feature a dryer it works as a sterializer with the blue light .